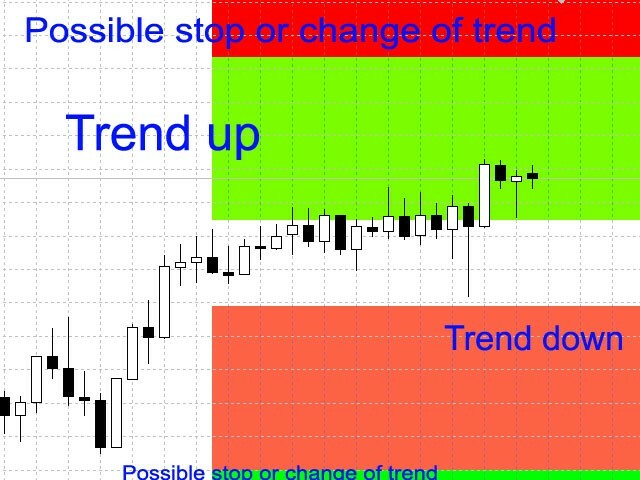 The indicator calculates the most probable trend stop/reversal areas, confident trend movement areas. the values of the ATR indicator. The indicator can generate an Alert when the price enter a stop/reversal area. Next are the color settings for each of the trading areas. Very useful, the author is excellent, we buy as soon as possible to make money.